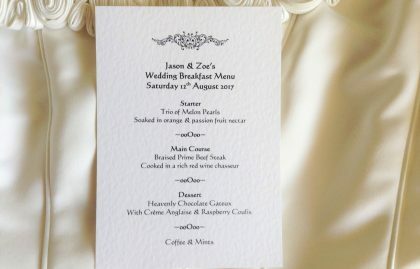 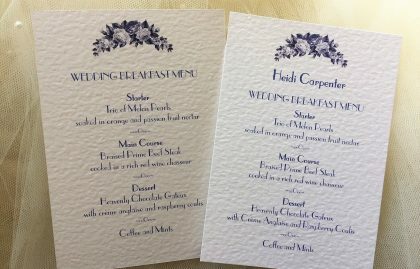 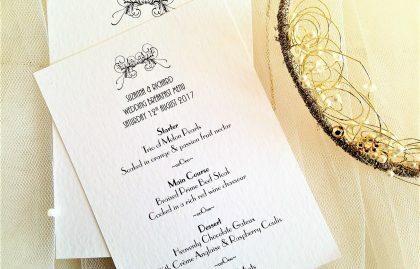 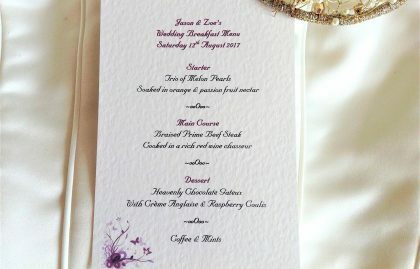 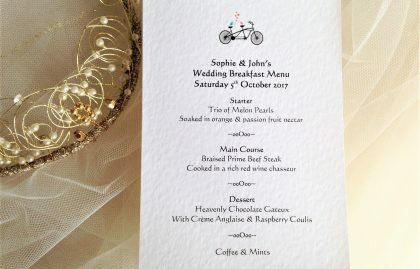 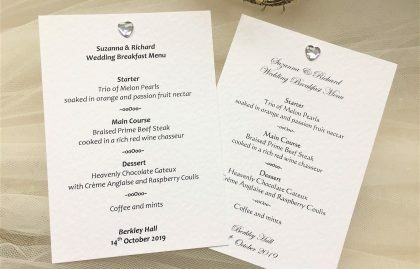 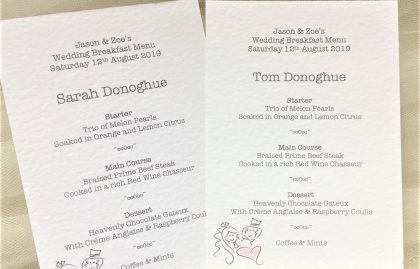 Our range of personalised individual menu cards can either be matched to your invitations or selected to co-ordinate with your theme or colours. 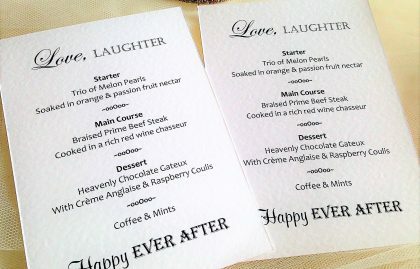 Whichever your choose, you can guarantee they will look fantastic on your table! 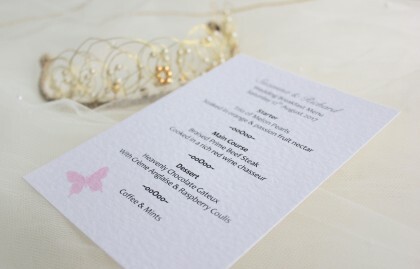 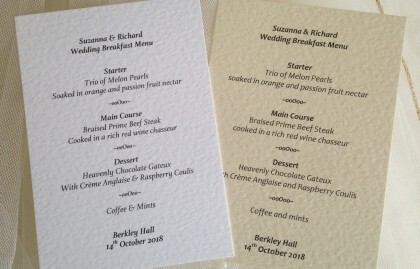 We can supply individual menu cards personalised for each guest with their name and meal choices. 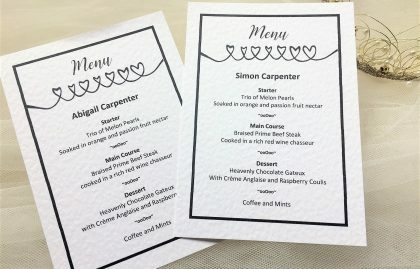 A much more personal choice allowing guests, who have pre-selected their meal choices in advance, to have a personalised menu with their own meal choices detailed. 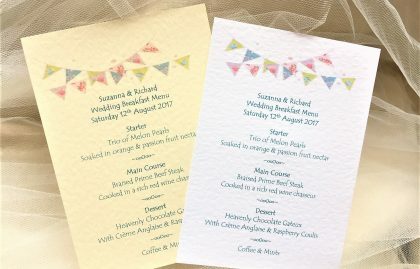 They are perfect for people who are unlikely to remember what they ordered, or for guests with special dietary requirements. 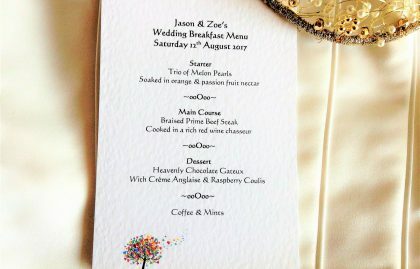 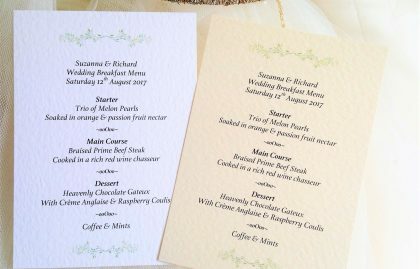 We can print individual choices for the starter, main course and dessert.